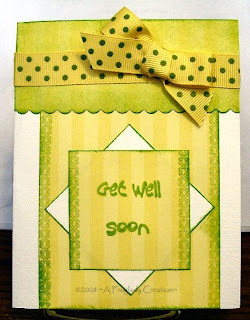 Stamping Stuff: Get Well Soon! Part of the cool Cken Up on You set that FireCracker Designs by Pamela offers is this sentiment and border stamp. I love the text used it is fun and not s (scripty) serious! This card uses some sponging over the pattern paper and edging also while combining the strips with the funky polka dots on the ribbon! I love to mix it up and this was a fun one to make. It also happened to be the Mojo51 sketch from last week that I finally got a chance to sit and do. Can anyone find me some more hours to add to my stamp time? NOT TO MY DAY but just to my stamp time LOL! Karyen love the layout and ribbon on this card. Great card. Thanks for playing my sketch challenge. Cute card!! I love the color! This is a very cheery card!! 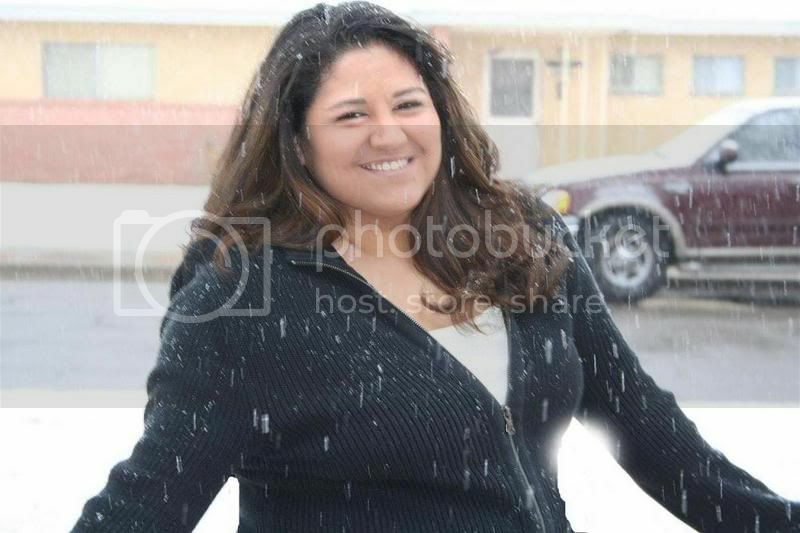 :) Love that yummy ribbon once again! !